If you're considering a lease, keep the 2012 Honda Acura TL in mind; the automaker has been offering some attractive ones. The 2012 Acura TL is a surprisingly well-rounded luxury sedan, with a host of advanced tech features, and in top SH-AWD trim morphs into a complete and compelling sport sedan. Acura has in recent years shown with its TL that there really is a different way to reorder priorities and end up with an engaging sport sedan--without a cramped back seat or compromised real-world drivability. And in top SH-AWD trim, the 2012 Acura TL can be quite thrilling to drive--a complete and compelling sport sedan, even if lacking the pedigree of its German rivals. Ever since its last full redesign for 2009, the Acura TL's seemingly robot-inspired look has been controversial—or refreshing, depending on how you see it. Most notably, for 2012 the 'love-it-or-leave-it' front-end styling has been toned down just a bit, with the pointy beak giving way to a minimal vee shape and a more horizontal orientation to the front bumper. In back, the license plate has been raised, with a diffuser added, and wide dual exhaust exits rather than last year's quad tips. On the inside, there's much less controversy and more to like. Gentle arcs and circles predominate, beautifully melding leather and synthetic, analog and digital in an artful yet logical way that is uniquely Acura. Except for some "warmer colors," the snug and cockpit-like yet reasonably space-efficient layout carries over. For the most part, the 2012 Acura TL isn't as much of an overt sport sedan as those with dedicated rear-drive platforms, like the BMW 335i or Infiniti G37, but it is clearly a car meant to be driven, rather than ridden in. The standard 280-horsepower 3.5-liter VTEC V-6 is essentially the same engine as used in the Honda Accord and powers front wheels with a five-speed automatic transmission. But if performance at all matters, you'll want to step up to the TL SH-AWD (Super Handling All-Wheel Drive), and you'll get the 305-hp, 3.7-liter V-6 from the RL sedan juicing all four wheels through Acura's capable system that removes any threat of torque steer, displays how its distributing power in the instrument cluster, and almost gives the TL the feel of a rear-wheel-drive sport sedan-as long as you're heavy on the gas. 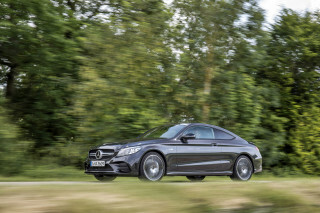 The availability of a six-speed manual with the SH-AWD also ups its sport-sedan credentials. The system feels almost impossible to fluster, allocating torque not only front-to-back but left-to-right, to help with slick surfaces or quick emergency maneuvers. The 2012 Acura TL remains built on Honda Accord roots, and that pays off for interior space. There are generously sized, supportive front seats (although they could use more lateral support for performance driving), plus a nice, adult-sized backseat that could accommodate three across. The only major disappointment is the trunk's meager 13.1 cubic feet of cargo space. That said, the ride is firm but not harsh in the 2012 Acura TL, but there's a pronounced difference in road noise between the base version and the SH-AWD, with its larger, lower-profile 19-inch wheels. Build quality is typically Acura, with solid materials and close tolerances, though there aren't as many options or upgrades as you'll find at brands like BMW, Mercedes, or Lexus. 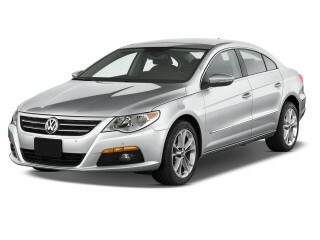 The TL is at its best for those who want to pair that luxury-sedan cabin with an impressive tech feature set. Even the base TL features a standard USB iPod/MP3 interface, an eight-speaker audio system, and a crisp, high-resolution center-mounted display for controlling the infotainment system. Going up the scale, the top SH-AWD model sure can seem pricey, but it's a complete, sophisticated sport sedan with the Tech Package, including a navigation system with live traffic, weather, and rerouting; a rearview camera; solar-sensing temperature control, keyless access, and an upgraded 440-watt Acura/ELS surround sound system. 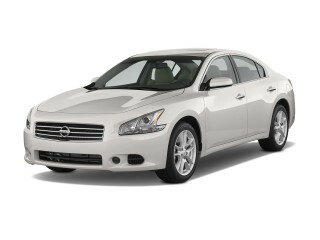 A top Advance Package adds to that ventilated seats, a blind-spot system, and those top 19-inch wheels. The 2012 Acura TL still strikes as a little edgy on the outside, but its interior look is sporty and artful. Ever since its last full redesign for 2009, the Acura TL's seemingly robot-inspired look has been controversial—or refreshing, depending on how you see it. Still, heads swivel when the TL drives by, and that's a good sign for a design that hasn't been all-new in many years. Most notably, for 2012 the 'love-it-or-leave-it' front-end styling has been toned down just a bit, with the pointy beak giving way to a minimal vee shape and a more horizontal orientation to the front bumper. In back, the license plate has been raised, with a diffuser added, and wide dual exhaust exits rather than last year's quad tips. On the inside, there's much less controversy and more to like. Gentle arcs and circles predominate, beautifully melding leather and synthetic, analog and digital in an artful yet logical way that is uniquely Acura. Except for some "warmer colors," the fashionable twin-cockpit design carries over. Gentle arcs and circles predominate, beautifully melding leather and synthetic, analog and digital in an artful yet logical way that is uniquely Acura. The 2012 Acura TL is no purebred sport sedan, but in SH-AWD guise it's a well-rounded performer--and more edgy and athletic than you might suspect. For the most part, the 2012 Acura TL isn't as much of an overt sport sedan as those with dedicated rear-drive platforms, like the BMW 335i or Infiniti G37, but it is clearly a car meant to be driven, rather than ridden in. The standard 280-horsepower 3.5-liter VTEC V-6 is essentially the same engine as used in the Honda Accord and powers front wheels with a five-speed automatic transmission. That combination is responsive enough, but if performance at all matters, you'll want to step up to the TL SH-AWD (Super Handling All-Wheel Drive), and you'll get the 305-hp, 3.7-liter V-6 from the RL sedan juicing all four wheels through Acura's capable system that removes any threat of torque steer, displays how its distributing power in the instrument cluster, and almost gives the TL the feel of a rear-wheel-drive sport sedan-as long as you're heavy on the gas. 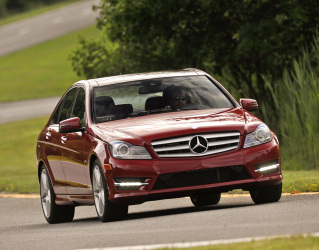 The availability of a six-speed manual with the SH-AWD also ups its sport-sedan credentials. 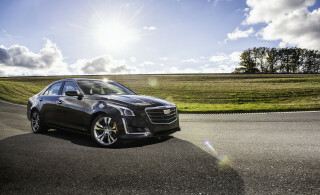 Overall, the AWD system feels almost impossible to fluster, allocating torque not only front-to-back but left-to-right, to help with slick surfaces or quick emergency maneuvers. There's a lot to like in the TL's electric power steering, too. At parking-lot and city speeds it feels light and responsive, returning to center promptly out of corners, with a nice natural feel on center. Up at highway speeds it gathers more heft, but whether slow or fast, the steering manages to transmit some information from the road surface. Passenger comfort and functionality are delights in the 2012 Acura TL, as is refinement; but the cluttered instrument panel could irk some. The 2012 Acura TL remains built on Honda Accord roots, and that pays off for interior space. There are generously sized, supportive front seats (although they could use more lateral support for performance driving), plus a nice, adult-sized backseat that could accommodate three across. The only major disappointment is the trunk's meager 13.1 cubic feet of cargo space. We do appreciate the driving position and cockpit-like feel of the instrument panel--which is very different than in the Accord. The deep, round gauges and hooded central screen—the first details you notice when you step into the deeply bolstered driver's seat in the 2012 Acura TL—are complemented by straightforward controls below and a selection dial for screen functions that's not too low from the line of vision. You might be somewhat overwhelmed by the clutter of buttons--on the steering wheel, as well as the center stack. It's all easy to use, but the owner's manual may be your best friend for the first few weeks. Once you're familiar with the controls, audio, navigation, Bluetooth hands-free phone operation, and voice commands are all at your fingertips. The TL's cabin also feels tight and free of wind noise, and even on the coarsest pavement surfaces we noticed very little road noise—definitely less than the M37 or Cadillac CTS. The big 19-inch wheels, however, give the SH-AWD a particularly rough ride over irregular surfaces, a problem not evidenced in the base model, which is more comfortable for most purposes. Build quality is typically Acura, with solid materials and close tolerances, though there aren't as many options or upgrades as you'll find at brands like BMW, Mercedes, or Lexus. The 2012 Acura TL's performance in federal crash tests is mediocre; but other indicators point to it as a safe pick. In the case of a few vehicles--and the 2012 Acura TL is one of them--the crash-test ratings between the Insurance Institute for Highway Safety (IIHS) and the federal government (NCAP) couldn't be more different. 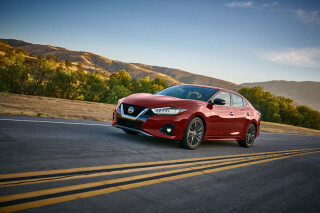 Look only at results from the IIHS, and you'll be led to believe the TL is one of the safest models on the market; it's an IIHS Top Safety Pick, with the best 'good' rating for all test categories--including the new roof-strength test. However, looking at federal test results, the TL gets just three stars overall, including a worrisome two-star rating for frontal impact. On the plus side, the feature set is great; all TL models include six airbags, including front side airbags and full-length side-curtain bags. A rearview camera system is available, and visibility is good, with rear headrests flipping neatly out of the way when nobody's back there. The 2012 Acura TL is at its best when loaded with tech features--and there are plenty on offer. The 2012 Acura TL is a full-features luxury car even in its base form; but it's at its best for those who want to pair this luxury-sedan cabin with the impressive tech feature set that's on offer if you click a few option boxes. Going up the scale, the top SH-AWD model sure can seem pricey, but it's a complete, sophisticated sport sedan with the Tech Package, including a navigation system with live traffic, weather, and rerouting; a rearview camera; solar-sensing temperature control, keyless access, and an upgraded 440-watt Acura/ELS surround sound system. 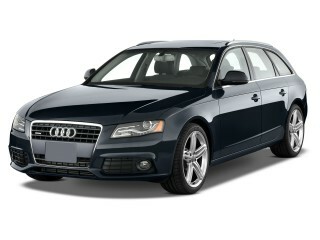 A top Advance Package adds to that ventilated seats, a blind-spot system, and those top 19-inch wheels. The down side is that the top SH-AWD model sure can seem pricey. The bottom-line price for the Advance model, which includes the works, is nearly $46k--almost as much as a Mercedes-Benz 5-Series or E-Class without some of these extras. Even the base TL features a standard USB iPod/MP3 interface, an eight-speaker audio system, and a crisp, high-resolution center-mounted display for controlling the infotainment system. Sound quality is good in base form, thunderous with the ten-speaker optional upgrade. The 2012 Acura TL is a straightforward V-6 sedan with no hybrid technology, so gas mileage is merely average. 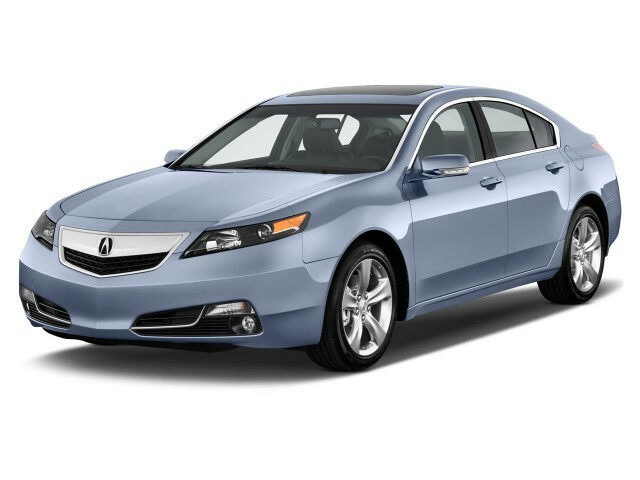 For a mid-size to large luxury sedan, with all-wheel drive, the 2012 Acura TL gets about the gas mileage you'd expect. Base front-wheel-drive versions of the 2012 Acura TL get a reasonably good 20 mpg city, 29 highway; but those with the somewhat larger 3.7-liter engine and all-wheel drive aren't nearly as frugal or efficient. With the automatic transmission, models with SH-AWD get 18 mpg city, 26 highway, and with the six-speed manual gearbox it's rated at just 17/25. Those ratings might be slightly on the pessimistic side, if several real-world drives with our editorial team are representative. For instance, we averaged nearly 23 mpg in about 400 miles of cold-weather driving—about two-thirds of it on the highway, but most of it taking advantage of the TL's strong acceleration. 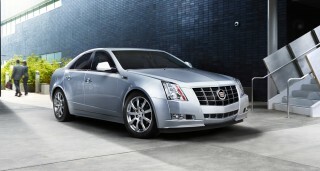 That's better than many other V-6 sedans with all-wheel drive.